The Windsingers is Megan Lindholm's second novel, following Harpy's Flight, which introduced her popular gypsy characters, Ki and Vandien. The Windsingers is Megan Lindholm's second novel, following Harpy's Flight, which introduced her popular gypsy characters, Ki and Vandien.The Windsingers is Megan's second novel, following Harpy's Flight which introduced her popular gypsy characters, Ki and Vandien.When Ki first encountered Vandien she very nearly slit his throat. Yet later it was Vandien who suffered a terrible wound to protect her when terror fell from the skies and who gave her a reason to lay to rest the bitter memories of a once idllyic past.Vandien's unrepentant recklessness led Ki into situations her sensible nature would have avoided. 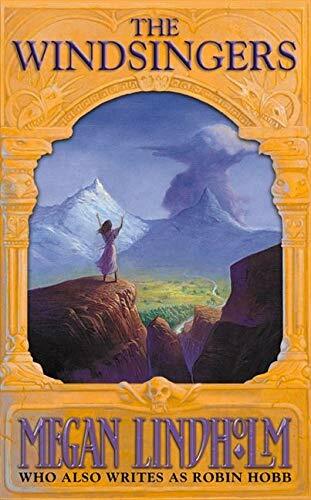 Yet it was Ki who, despite wizard-troubles of her own, risked the wrath of the Windsingers and saved Ki from his treasure hunt in the submerged temple of the storm-sung sea.And it was Vandien's stubborn daring which allowed him to attempt to reclaim Ki from beyond the Limbreth Gate - in another world entirely!